Ultra Street Fighter IV launched on PC just this Friday, but users are reporting multiple issues when it comes to the games online multiplayer. Constant lag and freezes are abundant while playing online ranked matches, which no doubt are an issue when an single frame can decide your fate. 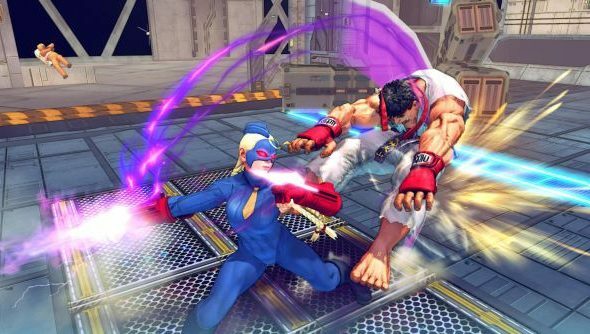 A recent patch from Capcom hasn’t appeared to have solved the meat of the issues, but they’re still “aware of the online connectivity issues” and are working to get them solved as “quickly as possible”. Street Fighter IV made the transition to Steamworks after Games for Windows Live was apparently going away forever (but then didn’t). Since the move, PC players have reported constant lag issues with the games online multiplayer, which were not present while the game was under GFWL’s wing. Reddit user poke133 decided to run some tests on the netcode on his own, and found some pretty definitive results. It appears that the games UDP traffic is being spammed with needless checks, slowing down the games connection. I’ve been playing Ultra Street Fighter IV myself over the past couple of days, and I’ve experienced the issues first hand. However I’ve found that if you stay away from Ranked Matches and play Endless Battles instead, the lag and stutters seem to stay away for the most part.